Sunday saw Grove RFC U15's visit Banbury for the Frank McCusker Memorial 10's Festival, in memory of one of the U15 Coaches who sadly and suddenly passed away during the summer. This was a good chance to blow some cobwebs out of the system and some very creditable performances were put in over the course of the morning. The whole day was played in the right spirit and it gave everyone the opportunity for some ‘fun’ rugby – if you can have such a thing once the whistle has been blown. All of the boys showed great spirit and the skill levels have definitely improved since last year with some great handling and passing on display. Every team that we played complimented the boys particularly on their handling with Chinnor Development (who we beat!) being very impressed with the short side move from the lineout and the speed at which the ball was passed on out of the tackle. To do such a thing in a competitive environment is not something that the Coaches can develop and it is great to see the team taking their own decisions on the pitch. In terms of results, the match against Quins was very close (a 2-1 loss) and it does show that we need to keep playing and applying pressure throughout the whole game and the Bicester game (2-1 again!) also proved that you can never trust the bounce of the ball. However, the highlight of the morning has to be the performance against Chinnor where two long range strikes from Ben Pound (who outpaced their very fast winger) and Alex Harris were eye catching plus the previously mentioned short side score. There are still have things to work on of course but there is no little talent spread throughout the team, playing to strengths and improving weaknesses will be the key points for this season. A particular thanks are extended to the boys who volunteered to play for Chinnor in their match against Quins, even though the Chinnor boys didn’t seem to want to pass when you were in the best position at times, but I guess that is just how things happen. It showed that even though we have a small squad we’re willing to help other out when needed and allowed 20 boys to get another game of rugby, it demonstrated the values of rugby very well. Finally, I’d like to welcome Alex Turner back to rugby and I hope that we see him during the course of the season. As you all know, we can also do with a few more boys so please keep your recruitment hats on. Next week (1st October) we are helping out at the Grove Festival where the payback will be new shorts and socks for each player. We’ll also need help from the parents for this and to date we have been asked to cover car parking, manning the gates to take money, pitch running and BBQ work – it does seem that every day there is another item on the list! I’m going to remind them that we do only have 14 boys and parent today so the requirement will be cut down somewhat. 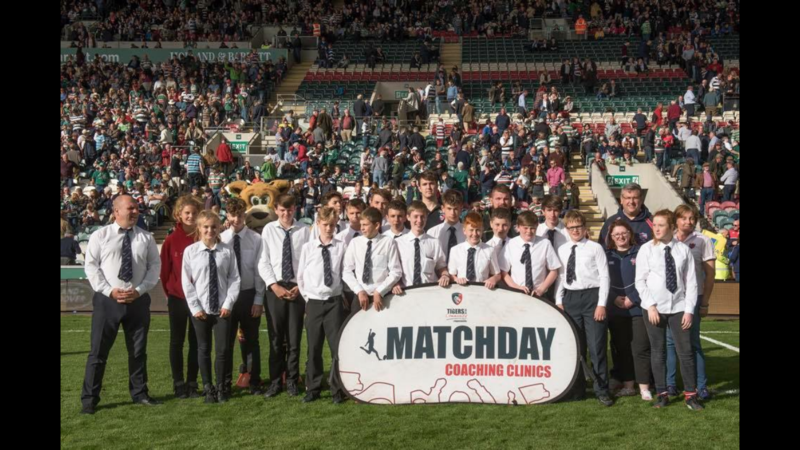 The following week (8th October) we have Chinnor Development squad in a friendly at their place and on 15th October we have Bicester at home in the Invitation Cup, so lots to look forward to. Again, many thanks to all for yesterday and we’ll see the boys again at training on Thursday.